While her little companions played house, little Urmi dubbed herself grand poobah and wrote, crayoned and scotch-taped together their neighbourhood newsletter. 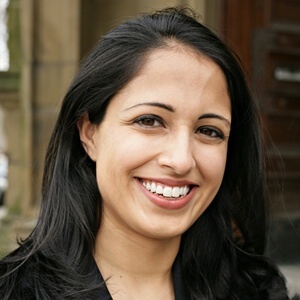 Naturally curious about how people live and passionate about ideas, she has since spent time as a researcher and analyst in Toronto, Sao Paulo, New Delhi and Ottawa. Currently, Urmi heads up Realosophy's content, including the popular real estate website, realosophy.com, and is the founding editor of Move Smartly. Violence and the City: Toronto the Helpless? Is 'Torontoness' the Answer to the Canadian Identity Crisis? Suburban Treasures: Is the End of Richmond Hill's David Dunlap Observatory Near? The Land Transfer Tax: the Toronto We Want? The Young, Urban and Carless…HomeOwner?